A Federal agency responsible for aviation safety embarked on a mission to modernize the national airspace system. By leveraging a suite of automated technologies and advanced procedures, the agency had the opportunity to deliver increased airspace capacity and fuel efficiency. In addition to the benefits to the environment, the technology supported air traffic controllers in managing their workload. The existing workforce was trained to control aircraft in a very tactical and “hands-on” manner. The introduction of these new technologies and procedures fundamentally changed the work that air traffic controllers love to do. To maximize the benefits of the automation, the agency needed to understand the air traffic controller perspective in implementing these new technologies and procedures. Evans engaged key stakeholders through one-on-one interviews, on-site observations, and natural “experiments” to understand the user perspective. Analysis included usability methods and design thinking techniques, such as journey mapping (LT) and thematic analysis. 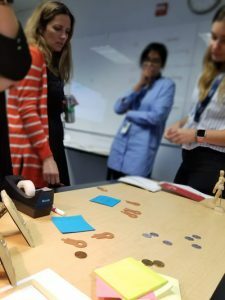 In addition to looking at what didn’t work, the team focused on appreciative inquiry- asking “what wows?” and “what works?” This allowed the Evans team to paint a rich picture of user needs and requirements at different stages of the change. 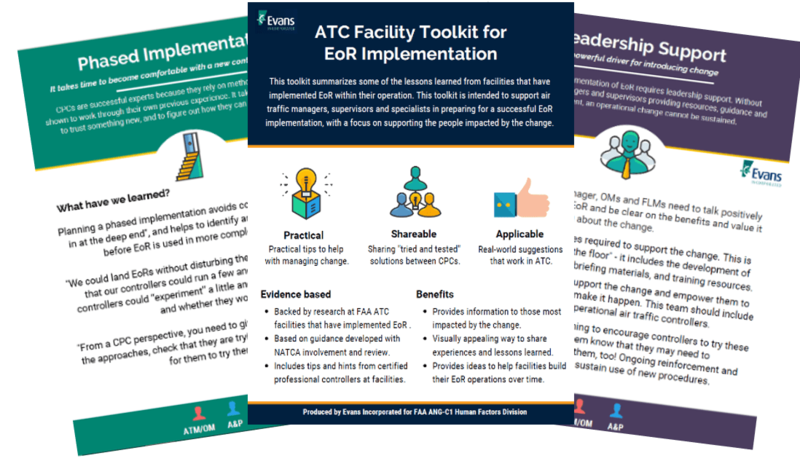 This human-centered approach identified the key success factors required to support air traffic controllers with the changes that arise when new technologies and procedures are introduced. 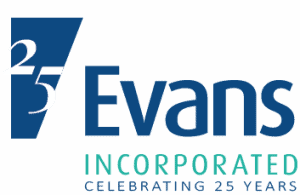 Evans Incorporated is celebrating 25 years of human-centered solutions. The purpose of this article is to demonstrate Evans’ journey mapping approach to its Change Management practice. As human-centered consultants, we seek to understand the impacted user’s point of view when designing a new product, service, or experience. One we do this is by creating a journey map. Journey mapping is a method that Evans’ design thinking consultants have adapted from the world of graphic recording and graphic facilitation. A journey map is a visual approach to representing a timeline for an individual, a user persona, a team or group, or an organization. It serves to represent history, current experience, and/or the future within a single image. Step 3: Capture the essence. This graphic illustrates a basic process for creating a simple journey map. This technique may be used “live” in group setting by graphic facilitators and graphic recorders to capture discussions in real time and provide a visual record of the experience. 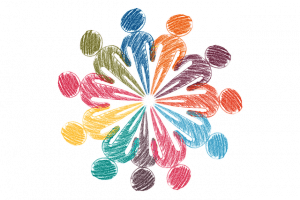 For meeting participants, watching a graphic recorder or graphic facilitator create the journey map as conversations unfold can be a very powerful shared experience, literally creating shared meaning and a shared vision. We also use journey maps to identify critical elements and experiences in adopting a change, and to plan the right actions and communications for each phase of a change or transformation. Used in this way, a journey map represents a road map for change management that documents and describes the experience of the change for end-users. This type of journey map can be created based on interviews and experiments and can be annotated with details relevant to each phase of the change. Evans’ consultants have experience of using a wide range of visual and design thinking methods, including graphic recording, graphic facilitation, and journey mapping. Contact us if you would like to know more. Evans Incorporated is celebrating 25 years of human-centered solutions. The purpose of this article is to demonstrate Evans’ design thinking approach to its Change Management practice. The term “design thinking” describes a creative approach to problem solving that places human beings as end-users at the heart of the process. This human-centered approach is grounded in the belief that the people who face those problems are the ones who hold the key to their answer. In a nutshell, design thinking involves understanding the user being served, and aims to arrive at practical and innovative solutions that are rooted in people’s actual needs. 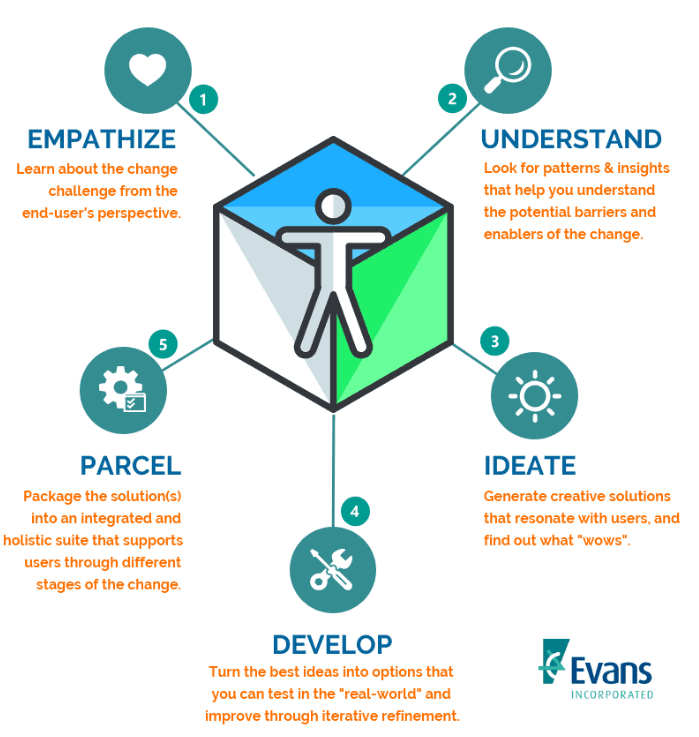 These principles hit close to home for Evans, and we apply design thinking to drive impactful human-centered change (Figure 1). Step 1. Empathize: Learn about the change challenge from the end-user’s perspective. Step 2. Understand: Look for patterns and insights that help you understand the potential barriers and enablers of the change. Step 4. Develop: Turn the best ideas into options that you can test in the “real-world’ and improve through iterative refinement. Step 5. Parcel: Package the solutions(s) into an integrated and holistic suite that supports users through difference stage of the change. First, we seek to gain a deep and broad understanding of the current situation to gain insights into the challenge of change from the end-user’s perspective. Then, we define creative solutions that resonate with users and that can be applied in the real world. After all, ideas without application are just that, ideas. To turn them into workable solutions, we refine ideas using an iterative approach based on user-experience. This helps us to generate practical recommendations that really do support users in adopting a change. The final part of the puzzle is working out how to “package” different elements of the solution. Different users have different needs in terms of support they need to make a change, and these needs likely vary through different phases of an organizational change. Evans’ experience has shown that this design thinking approach helps to identify issues that may have been missed by more conventional change management approaches. Since this approach also puts the end users at the heart of the process, risks associated with the change are better managed and mitigated than with conventional change management approaches. 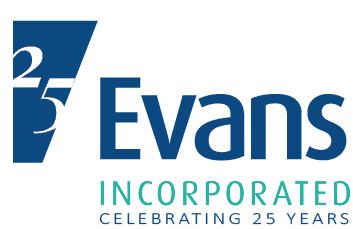 Evans Incorporated is celebrating 25 years of human-centered change. Central to its mission is a commitment to service and servant leadership. Evans will highlight the successes, partnerships, and milestones in the “Celebrating 25 Years of…” blog series. On September 20, 2017, everything changed for Puerto Rico. A hurricane of unprecedented strength destroyed much of the island, leaving the great majority of Puerto Ricans without power, water, communications and access to food. In response to the immense devastation created by Hurricane Maria, the Hispanic Federation (HF) convened government, community and philanthropic institutions and leaders to create the UNIDOS Disaster Relief and Recovery Program. The goal of the UNIDOS Program is clear: to serve the immediate and long-term needs of families and communities in Puerto Rico. Through combined contributions from Evans Staff, Friends and Family of Evans Inc., and a corporate match, we exceeded our goal of $5000 and raised over $6500 in contributions to support UNIDOS and the Hispanic Federation Hurricane Relief effort. HF has been at the forefront of local and national advocacy efforts urging the U.S. federal government to provide Puerto Rico the assistance it needs to recover and heal. It has taken unprecedented action, helping to coordinate hundreds of donation drives in the U.S. mainland, distributing millions of pounds of food, water and essentials to those most affected by the storm, delivering emergency relief aid to over 75 hard-hit municipalities, and seeding a millions of dollars to support emergency relief and recovery projects throughout Puerto Rico. So much of this work has been made possible because people from across our nation and the world and organizations like Evans Incorporated have stood shoulder to shoulder with us. In fact, HF received contributions from more than 125,000 people from all 50 states, every US territory, and from 23 countries around the globe. Invested two million dollars to purchase food, water and other essentials for people on the island. More than 4,000,000 pounds of emergency supplies have been delivered directly to 75 of the 78 municipalities across Puerto Rico. Worked with our community, government and philanthropic partners to coordinate nineteen relief aid flights to Puerto Rico, transporting essential supplies, medication, medical equipment, medical personnel and first responders. Seeded an initial $2.5M Fund to support grassroots nonprofits on the island and investing $7.5 million dollars in grassroots nonprofits that will help people rebuild their lives on the island. HF’s goal is to strengthen the social services infrastructure available to families and communities in Puerto Rico. With the goal of purchasing and distributing 100,000 individual water filtration systems for households and classrooms across Puerto Rico, HF worked with the American Federation of Teachers and Operation Blessing International to seed and launch Operation Agua. Established communications with municipal mayors and suppliers on the island that specialize in collecting, packaging, and moving goods throughout Puerto Rico to create fast, reliable routes to hard-hit areas outside of San Juan. Distributed 2,400 water filters to families in Villalba, Utuado, Manati, Hatillo, Barceloneta, Juana Diaz and Santa Isabel. In partnership with Warrior Angels and Mindo Futures, HF helped evacuate 160 patients in need of urgent medical care from Ponce to the U.S. mainland. In 1998, a major financial institution enlisted the help of Evans Incorporated to re-engineer the work practices used to collect and analyze internationally comparable time-series data from over 180 countries – a process that was time consuming and error-prone as it relied on a rigid and outdated time-series Economic Information System (EIS). Evans closely partnered with the technology and data management departments to understand their priorities and collaborated with cross-functional teams to define the software’s requirements. The final product resulted in functional alignment of stakeholders that eliminated the inconsistencies in their process to collect complex country data. Evans worked closely with department leaders and staff, and the institution’s human resources experts to deploy the reorganization efforts. Over the course of three projects and several years, Evans combined its human-centered implementation strategy with its technical expertise to improve the institution’s operational processes and provide a wholistic and meaningful solution to its workforce needs. After the reorganization’s launch, a cost-benefit analysis of the changed work practices, redefined roles and responsibilities, and more-flexible and feature-rich technology determined the department improve data quality with a reduced staffing need for data management by 25 percent. Evans worked closely with leadership in the department to design and implement a change management program to encourage technology adoption among stakeholders. Achieving the benefits (and projected savings) required a comprehensive change management approach to effectively modify organization and individual beliefs. Evans helped the department clarify its vision and develop a phased implementation strategy. Additionally, they helped to achieve successful implementation of a new departmental structure, new career ladder for data management, aligned and improved business processes, and an improved partnership with the information technology department in the institution. Throughout the multi-year implementation, Evans supported governance and task teams, provided leadership development to new team leads, developed and drove communication plans for reaching internal and external stakeholders, and facilitated departmental and division team offsite meetings to sustain adoption and reach desired outcomes. This resulted in a culture of continuous improvement around efficiently gathering and effectively managing economic data and delivering timely, responsive data products for clients within and outside the institution. The lasting outcome of this partnership was a greater sense of ownership and accountability for statistical data management. The 25 percent efficiency gain allowed the department to do more with less – while improving data quality and the institution’s reputation as a provider of internationally comparable data. Restructuring the data management process produced a pool of data management experts with skills that could more readily be applied as the institution met requests for new data products to meet ongoing global financial and economic challenges. 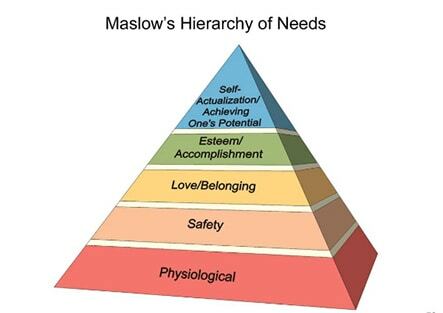 Every employee’s situation is different, and based upon their individual situations, employees may be at various stages of the “Hierarchy of Needs” pyramid. 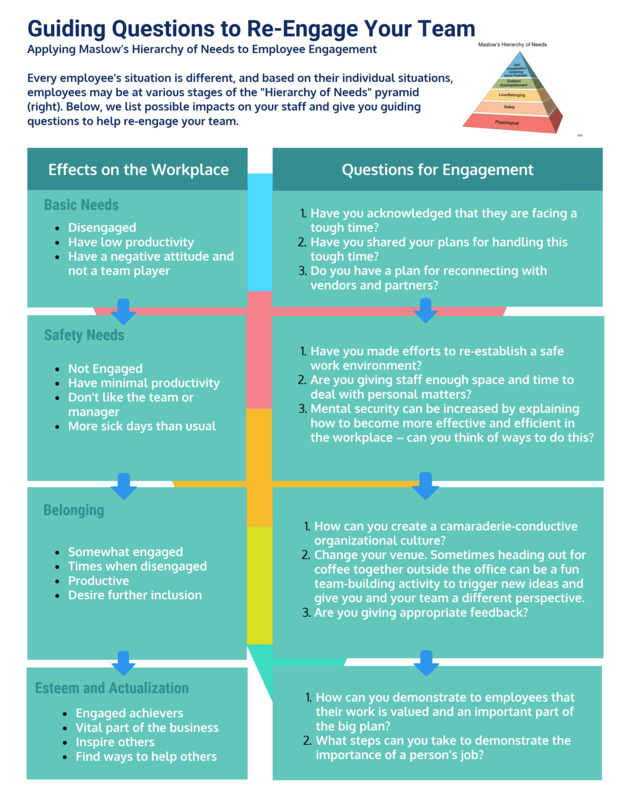 Below, we list possible impacts on your staff and give you guiding questions to help re-engage your team. Click below to download your PDF copy of Guiding Questions to Re-Engage Your Team: Applying Maslow’s Hierarchy of Needs to Employee Engagement, a free resource created by the team at Evans Incorporated. The government shutdown created an uncomfortable situation for government employees, contractors, and vendors. Projects that were ready to deploy were put on hold. More importantly, people were impacted in many ways. How we get back to normal, or back on track, can be an arduous task. Through our Restart Manifesto, we have crafted a tip sheet to guide leaders to reengage with their teams. 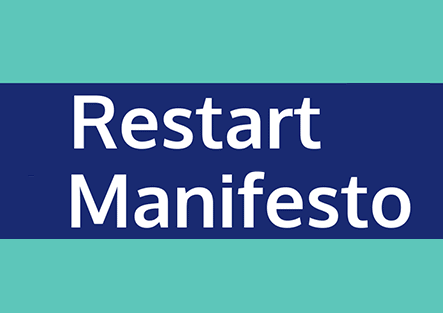 Click below to download your PDF copy of The Restart Manifesto for Successful Managers: Tips for Returning from the Shutdown, a free resource created by the team at Evans Incorporated. Human capital, otherwise known as people, is the core, and foundation of any healthy organization. Healthy teams are made up of individuals who each bring their own strengths to combine with the unique abilities and talents of others for maximum productivity, creativity, and innovative power. For leaders, then, building and shaping teams becomes an essential element in ensuring the organization is able to effectively tackle complex challenges, maximize outcomes, and cultivate a culture of commitment – keys to long-term growth and success. 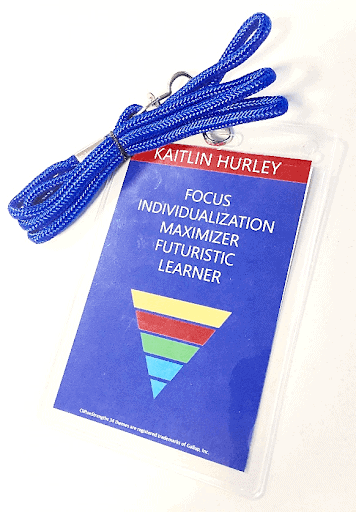 Clearly define roles and responsibilities to promote leadership and accountability. Create an inclusive social infrastructure and a high degree of information sharing. Consistently rise to the occasion and ensure readiness to change. The Evans method evaluates performance in terms of team composition and output with consideration for the program’s unique characteristics. The model uses qualitative and quantitative performance indicators to measure team performance, and is based on extensive research and client-delivery experience to ensure alignment among teams, empowerment from within, collaboration/knowledge transfer, and resilience, to allow the team to adapt in response to rapid change while continuing to function at a high level. Visit our website for more information about Evans’ High-Performing Teams expertise. Interested in receiving a brief analysis of your team’s current state? Click here to complete our HPT quiz. To access this recent whitepaper click here. Developing high performing teams has many facets, one of which is understanding each other’s strengths and leveraging this knowledge to help the team and its members succeed. Using our proprietary method called the Strong Team Model™, Evans Incorporated takes team and leadership development to the next level by helping team members learn about their team, lead strategically to achieve project goals, and grow in their capacity to lead and develop people. “Wings” refers to competencies and strengths in blue sky ideas and strategic planning, which are necessary to create a vision that a team will own and commit to. 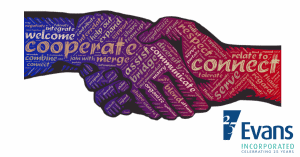 “Handshakes” refers to competencies and strengths in external influence, including outreach and persuasion, which are necessary to obtain organizational resources to support team performance. “Hearts” refers to competencies and strengths in taking care of the team, which are required to develop and lead a team to high levels of performance. 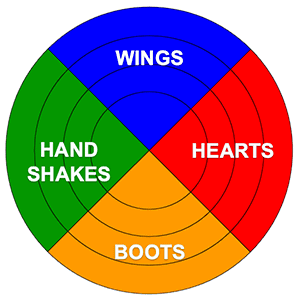 “Boots” refers to competencies and strengths in traction, referring to execution and implementation, which are required to resolve obstacles and deliver the planned goals. The Strong Team Model™ is set apart from other strengths-based assessments by the timeline application of strengths during different stages of a project’s lifecycle. In the development phase a project lifecycle, the majority of team efforts in the beginning should focus around the strategy of the team. This is where the Wings competencies should be leveraged. Handshake and Hearts competencies hold equal weight in the beginning of the implementation phase because gathering resources and team building is imperative for setting the project up for success. Throughout the development phase, the weight on all three of these competencies decrease while Boots competencies increase, because the focus shifts to making sure the plans are developed and ready to be implemented. 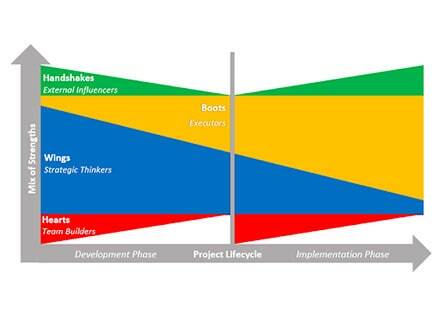 In the implementation phase, Boots competencies continue to gain importance as the plans are being executed. Hearts competencies resurge in the beginning of the implementation phase to make sure the team is strong and ready to execute, gradually decreasing in focus throughout implementation. Handshake competencies, on the other hand, resurface gradually throughout the implementation phase, as gaining support and obtaining resources becomes more important as previous resources are used. Lastly, as is to be expected, focus on Wings competencies continue to shift away as the actions become more tactical throughout the implementation phase. 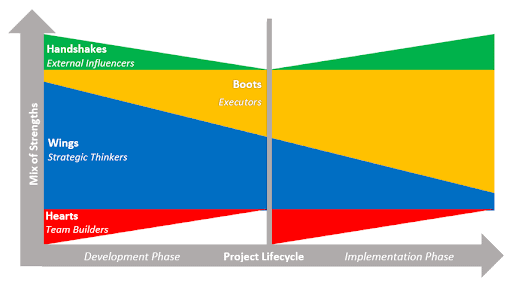 Understanding this lifecycle and the strengths that can be leveraged in different stages is crucial to setting a team up for success while also supporting the project. Evans’ Strong Team Model™ is what helps our clients apply their strengths and build teams, helping team members learn, lead and grow. If the Strong Team Model™ is an approach you feel would benefit your team, one of our experts on high performing teams would be happy to discuss further! Connect with us for any questions, or if you would like more information at HPT@evansincorporated.com. If you were stuck in a room with only a handful of clues and a team of your peers – would you be able to escape in under an hour? 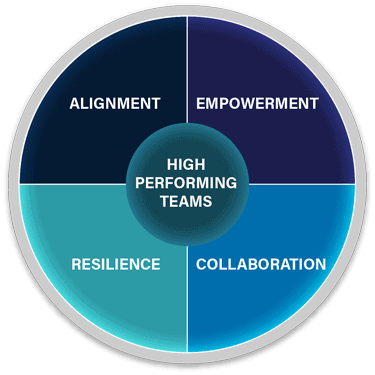 An indicator of a high-performing team (HPT) is its ability to effectively collaborate. 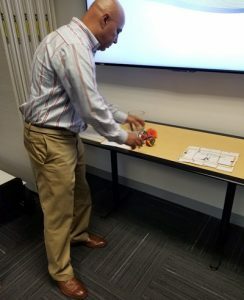 Evans Incorporated (Evans) hosts a monthly “Collaboration Fridays” exercise where staff can come together to team-build and innovate in a fun and engaging way. 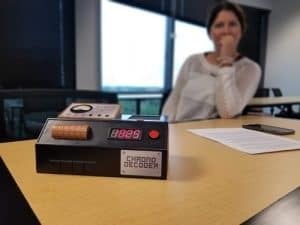 On September 14, 2018, the Evans team created their own Escape Room. The group was equipped with a background story and a series of riddles that, when solved, pointed to clues that would unlock the door. “Collaboration Fridays” was designed to provide Evans staff and leadership with hands-on opportunities to test the models they offer to their clients. Collaboration is a pillar of the High-Performing Teams archetype and the foundation for the human-centered solutions Evans delivers. So, did the Evans team escape the room? Yes, with only minutes to spare, the group worked together to arrive at a winning solution. But how? Once presented with the challenge, the seven-person team splintered off into pairs or singles to solve individual puzzles. When a pair arrived at a potential solution, they circled back to alert and receive feedback/buy-in from the others. Members actively listened to one another, asked clarifying questions, and offered alternatives when disagreements arose. This allowed the group to incrementally build upon one another’s individual findings. Resources were limited and were created by piecing together of fragmented information. As a result, trial and error was the name of the game. To arrive at an answer, individual members knew they had to share a theory that could be tested and potentially debunked. They learned to “dive in and fail fast” to brainstorm and effectively problem-solve. When the team identified a clue or new lead, they recorded it. This not only kept the group organized and focused but helped to create a roadmap for the final solution. The key to unlocking the Escape Room door was the team’s ability to find the pattern that lived within the various clues they found. This could only be done by augmenting one’s finding through the contribution of another. Each building block brought the group closer to the ultimate objective. Following the exercise, the Evans team highlighted the benefits and potential pitfalls of using such a tool to enhance the client experience. 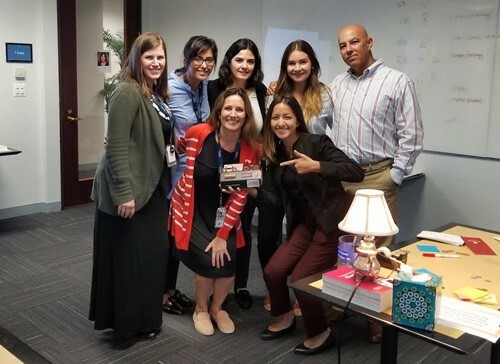 They underscored the advantages for leadership training and found the experience, “…interesting to see how we all worked together.” Though not having a clear end goal was disorienting, the team stated they found it was easy to connect the dots when they communicated effectively. Ultimately, the group learned that success could only be achieved when they worked together. 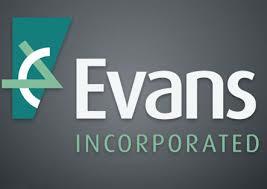 They acknowledged that any future victories could in large part be attributed to the solid foundation of trust and rapport cultivated by the talent at Evans Incorporated. 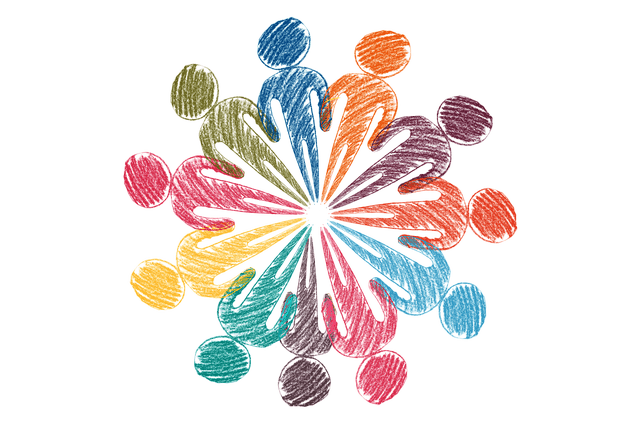 To learn more about the Evans human-centered approach to High Performing Teams, visit us at EvansIncorporated.com and be sure to fill out our contact form to learn more about our services.